Hayes had never won a race before and in fact by profession was not actually a jockey but a horse trainer and longtime stableman. 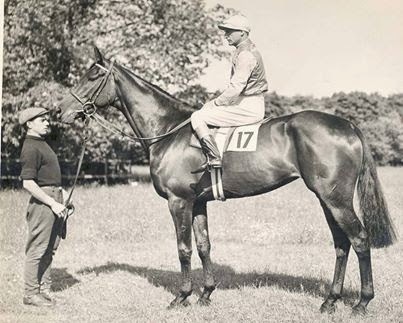 On 4 June, 1923 Frank was entered into a horse race at Belmont Park on Long Island. The horse “Sweet Kiss” raced exceptionally well and crossed the finish line first. It wasn’t until the owner and trainer came down to congratulate Frank, only to have him fall from the saddle, that they realised he was dead. Somewhere on the track Frank had suffered from a heart attack. He had died straight away, but for some reason his body had remained in the saddle, slumped over in the style of jockey’s. It was believed his heart gave out due to the training and dieting required to make it as a jockey. Frank’s death is noted as the only time in sporting history that a competition was won by a dead man. Frank was 35 when he died. 'Sweet Kiss' went on to be known by some as 'Sweet Kiss of Death'.